Minister for Finance Paschal Donohoe has defended a decision to increase the VAT on food supplements, including vitamins and minerals, from zero to 23%. The Government has been accused of "sneaking" in a 23% rise in the price of food supplements by Labour Party leader Brendan Howlin in the Dáil. He said that 100,000s of people across the country are dependent on taking vitamins daily as part of their daily regime. There has been a zero-VAT rating on these products since 1972. Mr Howlin claimed the 23% tax increase, which comes into effect on 1 March, was not provided for in the Budget 2019 legislation and it was "sneaked in". He explained: "This was not done by way of legislative change where deputies of this house would have been able to deal with it in the finance bill. It was done by way of re-interpretation by the Revenue. "The practice of zero-rating vitamins, minerals and fish oil supplements have applied since 1972. So this is a very significant issue. There are 100,000s of people across the country, dependent on taking vitamins as part of their health regime. The Labour leader said that such a "fundamental change deserves much better consideration than has happened". He asked Mr Donohoe if he would agree to halt the increase and engage with the stakeholders to see if some compromise can be arrived at. Health Stores Ireland, the trade association for Ireland's health stores, and the Irish Pharmacy Union have been campaigning against the price increases. Responding to Mr Howlin, Minister Donohoe acknowledged that this issue was not dealt with in the Finance Bill or legislated by the Dáil. He explained: "What it refers to now is an interpretation of our tax code by the Revenue Commissioners who are, as everyone knows, independent of direction from me. The way I had been aiming to deal with the matter was through the Tax Advisory Group which publishes papers on topics like this each summer that allow the Government and stakeholders to explore how this issue can be dealt with". He added: "The Revenue Commissioner has now made a decision in relation to the interpretation of the law that I have to accept their right to do and accept the consequences of that. He concluded: "Will we engage in engagement with stakeholders on the matter, to look at how this matter can be dealt with? Yes we will but I am bound as Minister for Finance to abide by the interpretation of the Revenue Commissioner, which I will do". 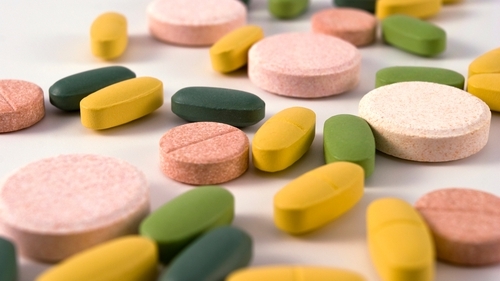 The 23% standard rate of VAT currently applies to food supplements. But a zero-VAT rating has been applied to vitamins, minerals and fish-oil supplements such as Omega 3 has applied for 47 years. There have been concerns recently in the Department of Finance and the Revenue Commissioners that the zero rate has been applied to products that should be liable to the full 23% standard VAT rate.